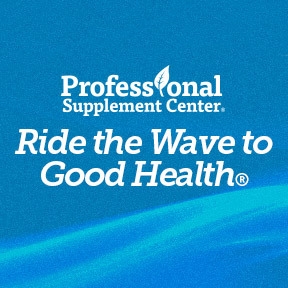 Professional Supplement Center® has added six new formulations to our growing line of professional grade nutritional supplements. These high quality products are designed to support optimal health maintenance, as well as address a variety of specific wellness needs. Scientifically researched and manufactured to the highest cGMP standards, all products are formulated with superior quality raw materials assayed for identity and purity. Professional Supplement Center adheres to truth in labeling to ensure products contain only the listed components. Products are guaranteed to contain the purest and most potent ingredients without preservatives, impurities, or artificial ingredients. Adrenal Pro Energy: ON SALE! This comprehensive adaptogenic and B vitamin formula provides support for adrenal hormone production and a healthy adaptogenic response. High quality ingredients include a standardized extract blend of cordyceps, rhodiola and ginseng, along with bioavailable PABA and vitamins B5 and B6 for energy production, a healthy immune response, antioxidant activity and cellular protection. Free of wheat, gluten, yeast, soy, animal and dairy products, fish, shellfish, peanuts, tree nuts, eggs, and artificial colors, sweeteners and preservatives. Non-GMO formulation. Allergy Immune Balance: ON SALE! This formula provides specific nutrients for multifaceted support for hypersensitive individuals. Ingredients include bioflavonoids, micronutrients, proteolytic enzymes and botanicals in highly absorbable forms. These nutrients support the nasal and sinus passages, provide antioxidant protection and regulate an overactive or distressed histamine response to environmental allergens. Free of wheat, gluten, yeast, soy, animal and dairy products, fish, shellfish, peanuts, tree nuts, eggs, and artificial colors, sweeteners and preservatives. Non-GMO formulation. Cortisol Reset: ON SALE! This multifunctional herbal formula features a unique blend of clinically tested patented ingredients that aid the body in resisting and recovering from the effects of everyday stress. Ingredients include high levels of bioactive constituents of ashwagandha, a stress-fighting, cognition-enhancing adaptogenic herb; a pure form of L-theanine, an amino acid associated with a relaxed but alert mental state; and other traditional botanicals known to support relaxation and reduce the perception of stress. Free of wheat, gluten, soy, dairy, fish, shellfish, peanuts, tree nuts and artificial colors, sweeteners and preservatives. Non-GMO formulation. Mood Stabilizer: ON SALE! Mood Stabilizer provides key nutrients including vitamins, minerals and amino acids that enhance the synthesis of certain inhibitory neurotransmitters in support of relaxation, healthy mood and healthy nervous system function. Ingredients include vitamin C, GABA, magnesium glycinate chelate, selenium, L-theanine, L-taurine and 5-HTP. Free of wheat, gluten, soy, dairy and animal products, fish, shellfish, peanuts, tree nuts, and artificial colors, sweeteners and preservatives. Non-GMO formulation. Magnesium Balance: ON SALE! This proprietary blend of patented magnesium is formulated for superior absorption in support of bone, cellular, joint, nerve and tissue health. As magnesium participates in more than 300 enzymatic reactions, far-reaching health benefits of adequate magnesium intake include support for energy production as well as cardiovascular and muscle health and function. Free of wheat, gluten, corn, yeast, soy, animal and dairy products, fish, shellfish, peanuts, tree nuts, eggs, and artificial colors, sweeteners and preservatives. Non-GMO formulation. Spectrum Enzymes: ON SALE! This broad spectrum comprehensive formula provides key digestive enzymes that function in a wide pH range to support and facilitate healthy digestion and effective absorption of nutrients. Spectrum Enzymes provides principal and complementary enzymes in support of fat, protein, carbohydrate, fiber and lactose digestion. Free of wheat, gluten, yeast, soy, animal and dairy products, fish, shellfish, peanuts, tree nuts, eggs and artificial colors, sweeteners and preservatives. Non-GMO, vegan formulation. This entry was posted in Home and tagged Adrenal Pro Energy, Allergy Immune Balance, Cortisol Reset, Magnesium Balance, Mood Stabilizer, Professional Supplement Center, Professional Supplement Center New Formulations, Spectrum Enzymes, Vitamins and supplements, www.professionalsupplementcenter.com. Bookmark the permalink.